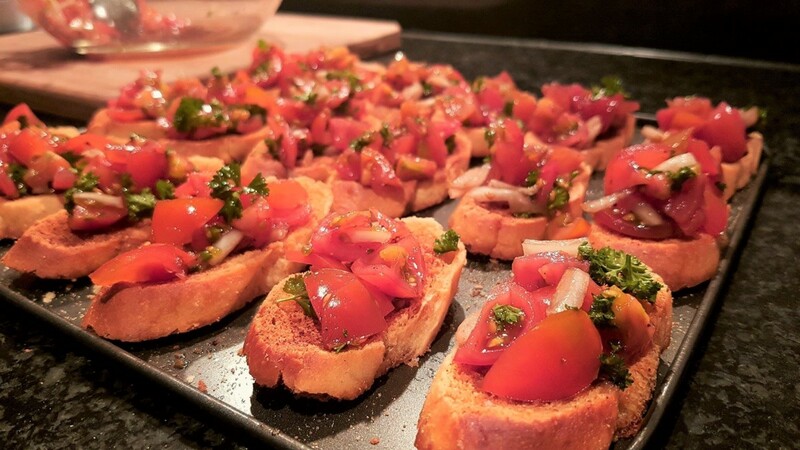 Bruschetta is a fresh, deliciously tasty, extremely flavourful and brilliantly simple Italian appetizer that can be prepared in just 15 minutes with just a few common ingredients. 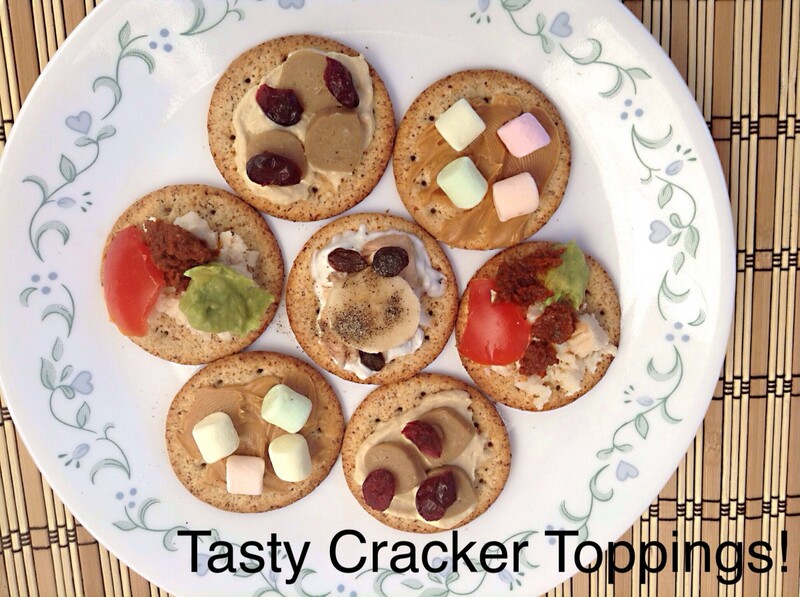 It is the perfect and most convenient snack to produce and is ideal as an appetizer, entrée and for entertaining. Think of a lazy summer night on the garden patio, with friends, family and loved ones, enjoying bruschetta and bubbly and of course a good conversation…whoa that sounds so cheesy doesn’t it! Nothing can beat this simple appetizer for its tastes and textures; that crisp bite of the toasted bread, with the flavoursome tomato, blended with silky olive oil, the aromatic herbs, a little zing from the onion and the acidity of the balsamic vinegar. Actually pronounced brusketta in Italy, the rest of the English-speaking world usually pronounces the ‘sk’ using the ‘sh’ sound. This appetizer has its origins in Central Italy in the 1400’s and in modern times has become a staple in all Italian restaurant menus. It is obvious that bruschetta was once a poor man’s food. Typically the yummiest of foods that we eat today were originally food for the poor. I guess they had so few ingredients and had to make the most out of what they had. Did you know that even oysters were originally poor man’s food, so was caviar, and also brown or wholegrain bread? Okay maybe I shouldn’t have mentioned the bread. Isn’t that interesting though, as now oysters and caviar have relocated to the other end of the social spectrum and unrefined bread is preferred as a more modern and healthier choice. Just a little foodie history lesson. Anyways, now to get back on topic! 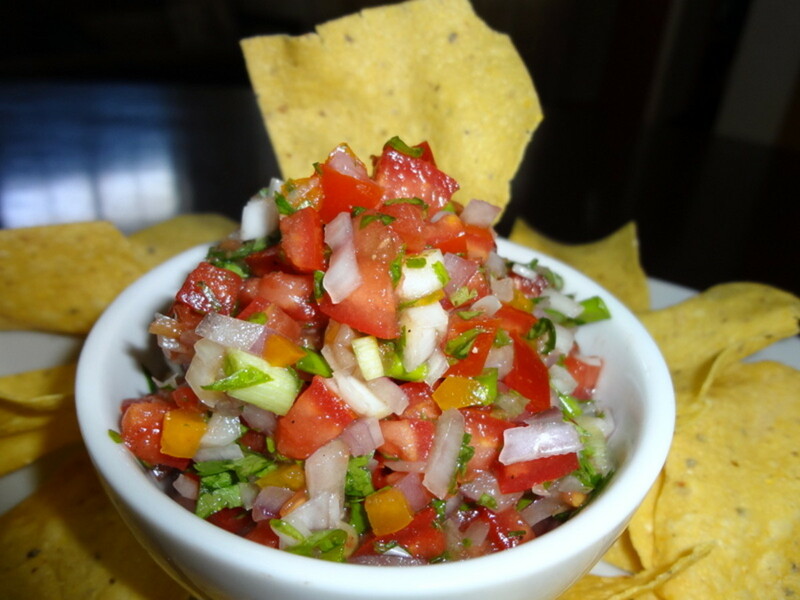 Bruschetta comes in many varieties, typically determined by its topping. The most well-known topping is with tomatoes and basil, although various other bruschetta toppings are popular, which include, tomato and olives (Kalamata are divine! ), tomato mozzarella, tomato feta cheese, asparagus and Parma ham, roasted red pepper and tomato strawberry. Yes, tomato and strawberry! - I think this might be an American combination and heck I wouldn’t mind giving it a go. At an authentic Italian restaurant I went to a few months back, I was served bruschetta with a creamy mushroom topping. I have to say I was a little perplexed as, through naivety, I thought that it had to contain tomatoes. In all honestly, I am typically quite unadventurous when I make this appetizer. I usually go for the simple-yet-delicious traditional bruschetta recipe. Although I suppose I do have a little variation; instead of using fresh basil, I often use fresh parsley. My reasoning for this is that it is literally growing as a weed in my garden and it grows all year round, well for me anyways. For some reason I just don’t have the knack for growing basil, usually I don’t use it in time and it turns an off-yellow colour or I forget to water it for a couple of days and it wilts. Parsley is deffo my besto, it is my favourite and versatile herb that never lets me down. It has to be fresh though, or you lose that subtly aromatic flavour. I’m not sure why people even use the dried stuff, it’s basically like eating dyed-green paper. So guys, if you are still interested, please find below an easy guide on how to make bruschetta. 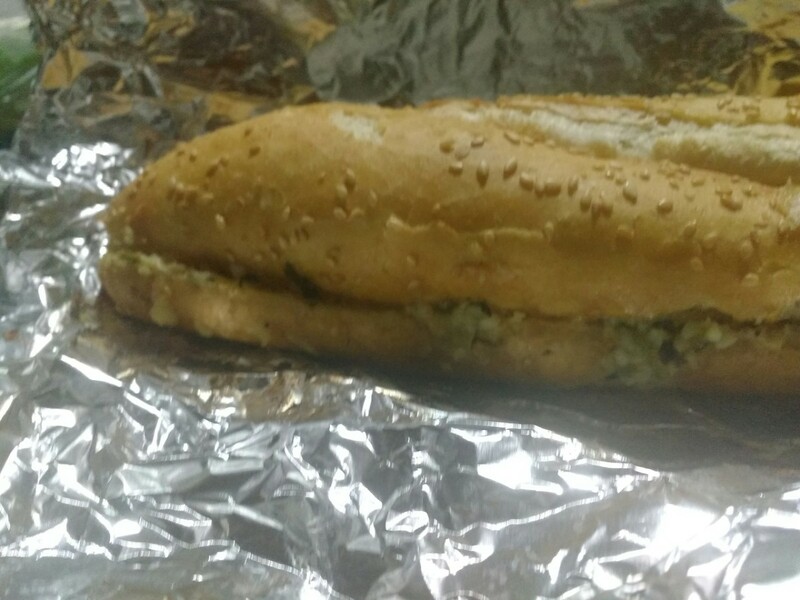 1) At a 45 degree angle, cut the large baguette into thin slices. Place flat on a baking tray and drizzle with olive oil. If using minced or minced pickled garlic then rub a portion of the garlic over the surface using a knife or spoon. If you have powdered garlic, simply sprinkle over the surface. 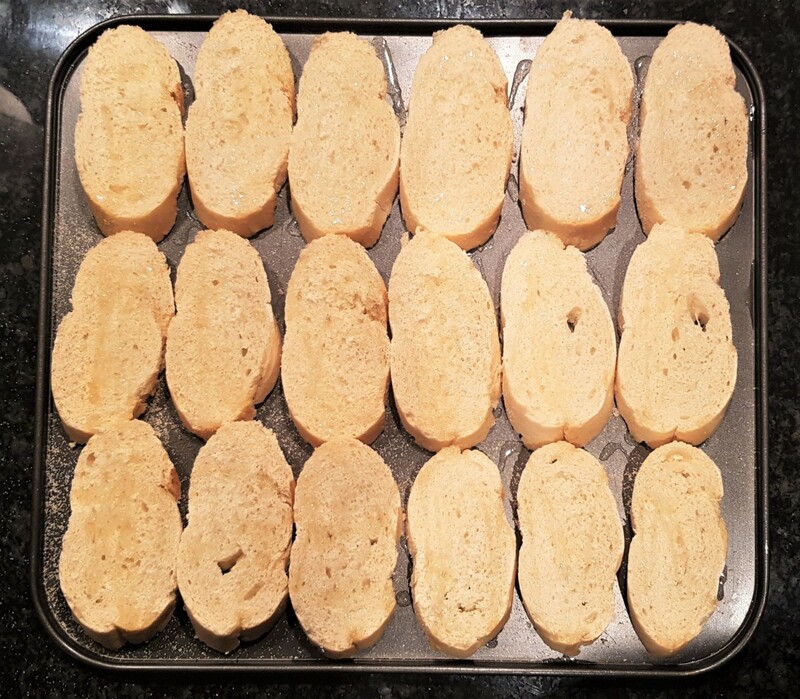 2) Place the baguette slices under the grill, under a medium heat, until golden brown. 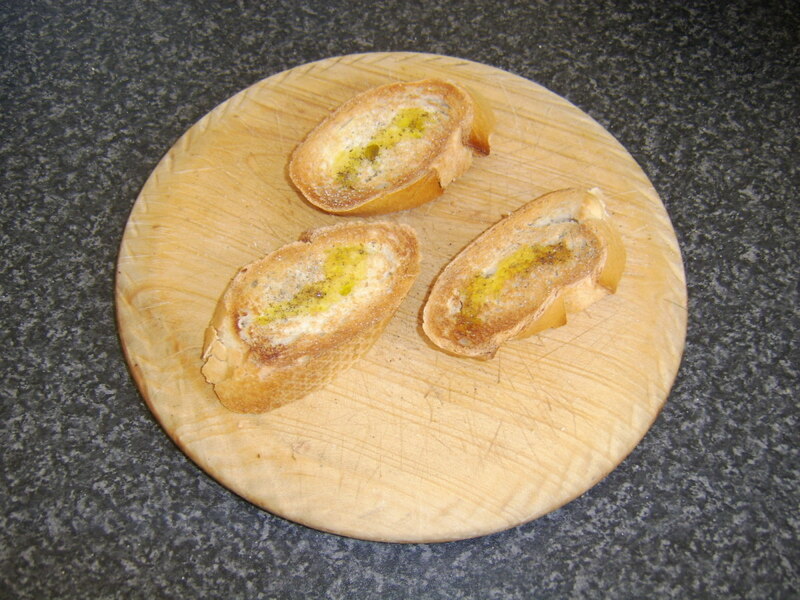 When toasted, flip the slices and add a drizzle or oil and garlic to the other side, as per Step 1. Toast until golden brown. At this point, your bread slices should have curled up around the edges, forming subtle cup shapes. 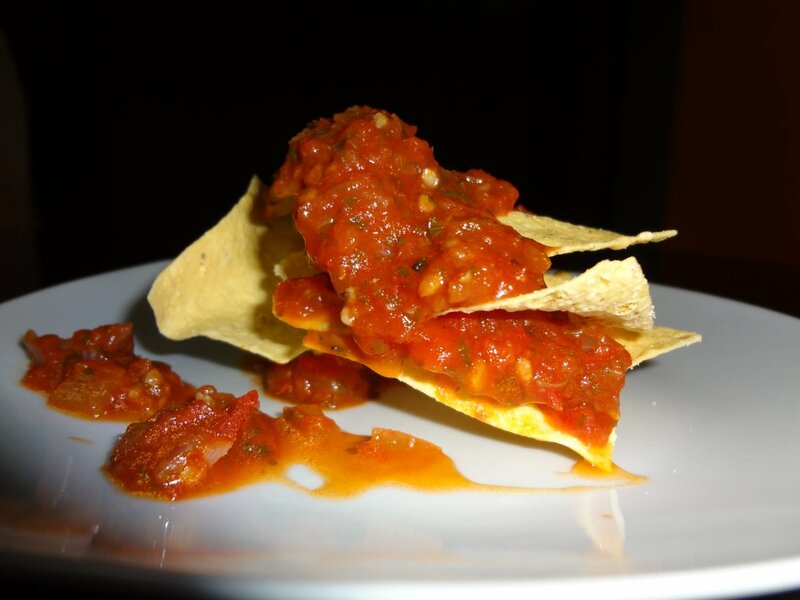 This is ideal for holding the tomato bruschetta topping. 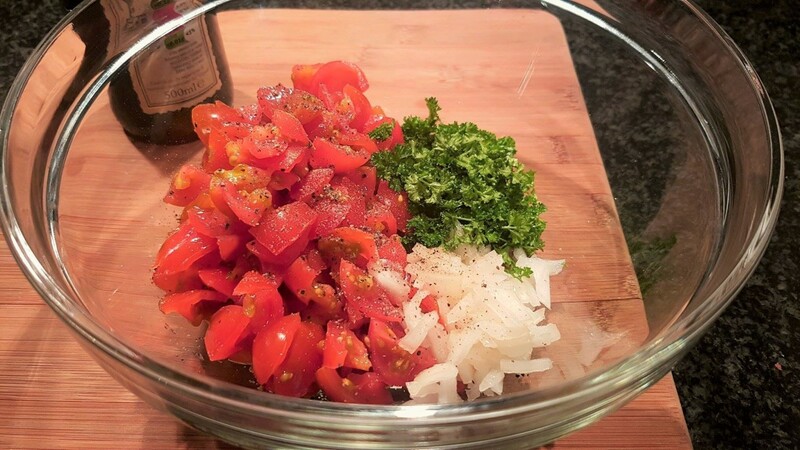 3) To a medium mixing bowl, add chopped tomatoes, onion, chopped fresh basil (or parsley),1 tsp of garlic (optional), a drizzle of olive oil and salt and pepper to taste. 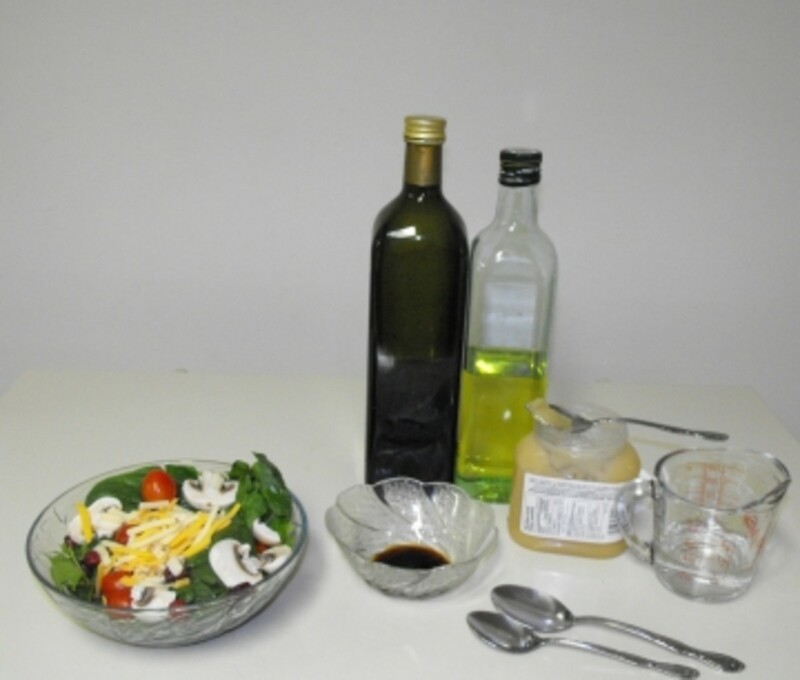 Pour in the balsamic vinegar (optional) and stir the mixture. Note: I often use fresh parsley instead of basil, since I have lots of it growing in the garden. A different taste, but I think it works quite well. My favorite garlic to use is pickled, although if I'm feeling lazy I just use powdered. 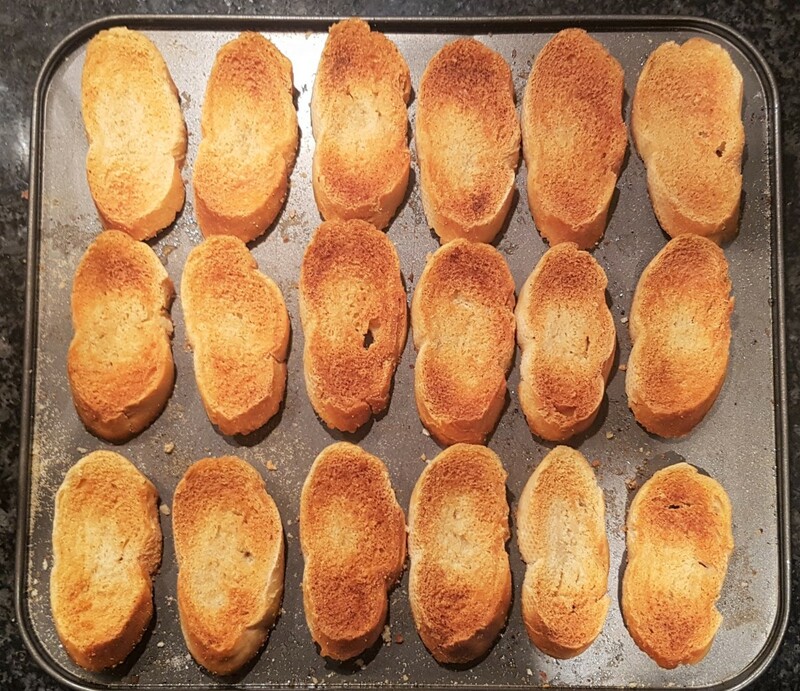 4) Just before serving, spoon the bruschetta mixture over the surface of the toasted bread slices. Note: It is recommended to only add the tomato topping just before serving, as you want to maintain the crispiness of the bread. 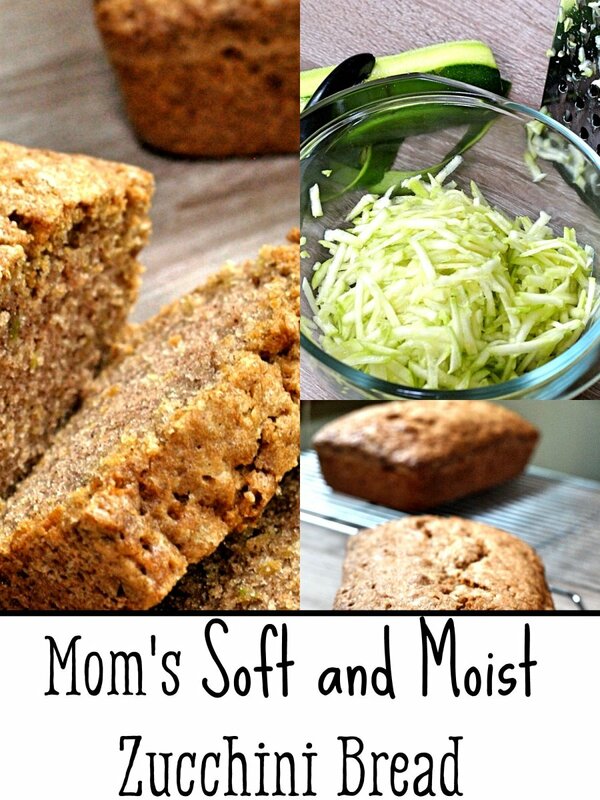 You don't want soggy bread! 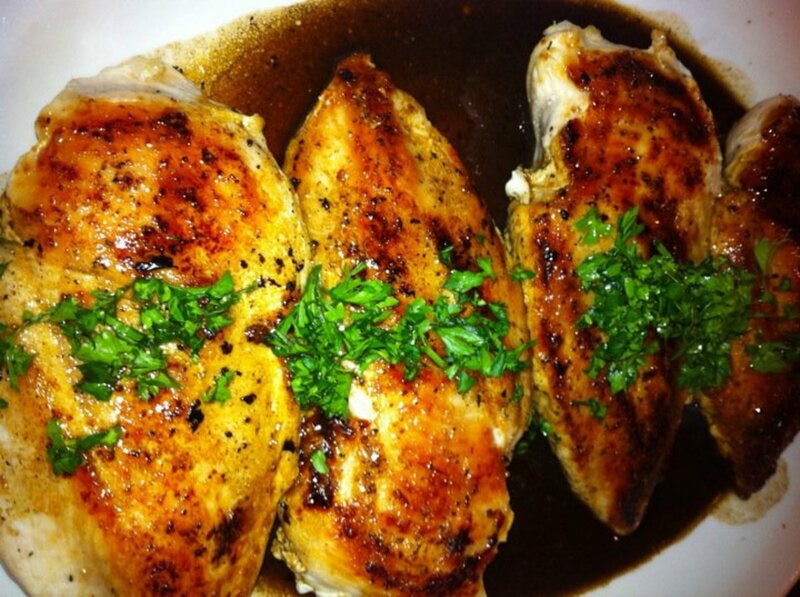 5) Enjoy as an entree, starters, appetizers or even for brunch! I usually have it for brunch on the weekend with some smoked salmon. Num num. It is also a great party food, which can be prepared in advance and assembled when required. 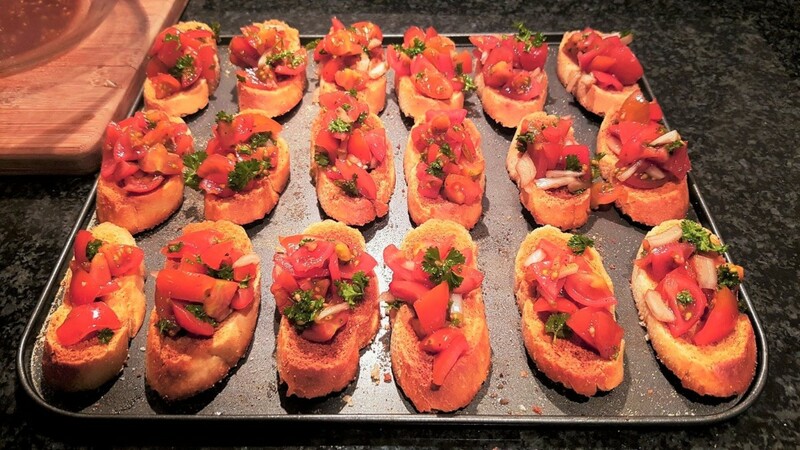 What's your favourite bruschetta topping? Beautiful! I appreciated that you included some history, too. That always helps me enjoy a recipe even more. Bruschetta is my favourite light lunch. I rarely have fresh basil on hand, so I use pesto, or the Gourmet Garden basil-in-a-tube instead. Not as nice as the fresh stuff but it works fairly well. If I'm not going to eat it straight away, I spread the bread with cream cheese before adding the topping so it doesn't go soggy. Adds a bit of protein, too! Thank you for your comment Rochelle. Ye it was good alright :) It's such an easy thing to make at home. Maybe I'll do a collection of poor man's recipes. I have a couple of Brazilian recipes which could be included in that category. Boy, does this sound good! And I'm with you on the idea of "poor man's food"-- often the most natural, satisfying and "pleasant".